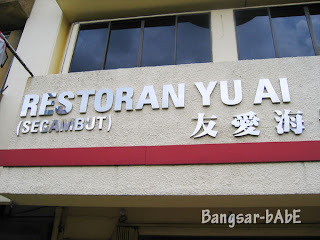 Last friday, my colleagues decided to have lunch at Yu Ai, SS2 instead of our usual coffeeshop. 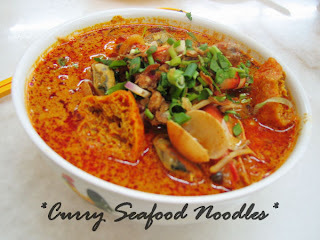 Once seated, we placed our orders for their much talked about seafood noodles. All of us ordered the tom yam and curry broth instead of the clear soup. 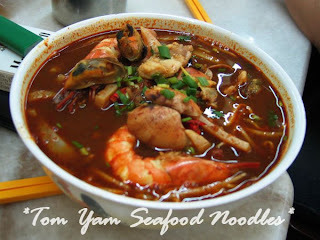 Served piping hot, my bowl of curry seafood kuay teow was spicy, rich and aromatic. Adorned with squid, clams, mussels, fish slices and prawns, I rather enjoyed it. Even more so with their fragrant and thick sambal belacan. I think the rest were quite happy with their noodles…as they seemed to enjoy every spoonful despite the sweating and running nose (kekeke). All in, it was a good bowl of noodles…not fantastic. I feel that it’s slightly overrated and definitely overpriced. 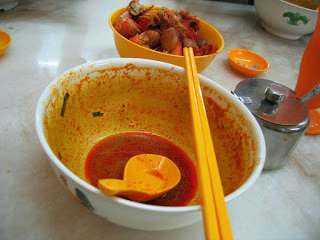 RM 15 for a small bowl and RM 17 for a big bowl….that’s quite a bit of money to pay don’t you think? After 5% tax, the bill came up to about RM 17 per person with chinese tea. A good experience, but not something you can afford all the time. Mei Shum agrees with me. Verdict: Overpriced, above-average tasting seafood noodles. Wow, ages since I last went and back then it was only about RM11 for a small bowl. 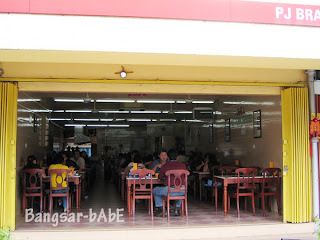 I usually prefer to go to their main outlet in Segambut as it tastes better there. 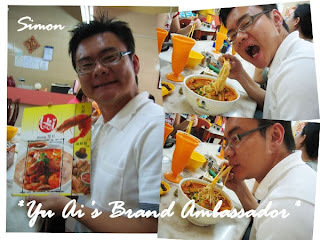 Ya..I heard the Segambut outlet serves better noodles. You can also choose the seafood you want, unlike the SS2 outlet.